A new project is set to help food and drink producers take their fare further afield. Funded by West Sussex County Council, which has commissioned food community interest company Natural Partnerships CIC as manager, the project aims to help food and drink producers across West Sussex reach new markets. Natural Partnerships won the competitive tender with a project that will focus on helping local food producers to gear up to appeal to buyers from the full range of markets, from supermarkets to catering firms and farm shops to hotels. 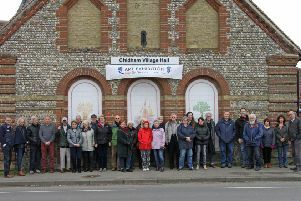 The CIC will work closely with the Council’s Taste West Sussex team as well as local businesses to create a programme of training to ensure they are ready to present themselves effectively to buyers, culminating with creating opportunities to meet buyers with an interest in the county’s local fare. This year the County Council is celebrating ten years of Taste West Sussex magazine, which is published three times a year to promote local food and drink producers and providers, and boost tourism. The magazine is distributed to over 250 outlets across the county and is online at www.westsussex.gov.uk/taste. Councillor Louise Goldsmith, leader of West Sussex County Council, said: “Supporting our local, British food and drink producers becomes ever more important and we want to help the superb businesses we have in West Sussex to upskill and access more buyers from inside and outside the county and this project will help them do just that. Natural Partnerships CIC, run by Hilary Knight and Paula Seager, has a track record of creating opportunities which help boost local producers in the region, including founding and running the Sussex Food & Drink Awards for the past 12 years and creating the regional food finder Southdownsfood.org. They also won a Defra grant last year to create a tourism project to help hotels, guesthouses and B&Bs to make the most of local food and drink as part of a food tourism initiative. West Sussex has a superb range of produce, including world award winning cheeses, unrivalled sparkling wine and all kinds of artisan products including everything from pies to chutneys and fruit juices to ales. All producers are welcome to participate in this free project to provide extra support and should register their interest by emailing trade@southdownsfood.org.